Experienced in working with architects and interior designers on your larger renovation projects. Begetube UK underfloor heating over two floors with additional radiators. Grant oil fired condensing boiler with conventional flue. 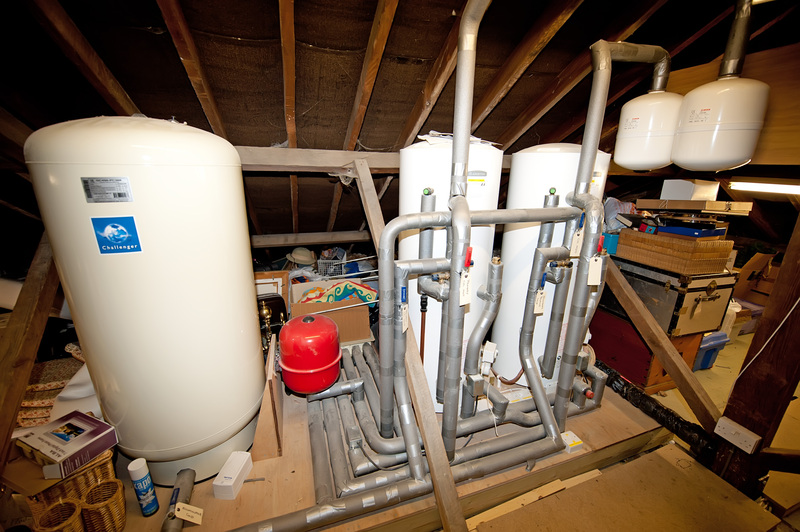 Loft area housing two unvented 210 litre pressurised hot water cylinders with one 300 litre coldstream accumulator.